Stroke. National Heart, Lung, and Blood Institute website. Available at: http://www.nhlbi.nih.gov/health/health-topics/topics/stroke/signs. Accessed January 18, 2019. 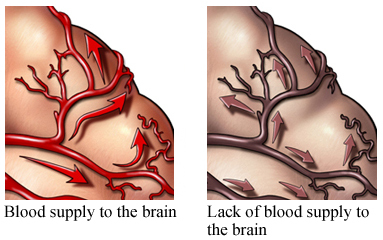 Stroke (acute management). EBSCO DynaMed Plus website. Available at: http://www.dynamed.com/topics/dmp~AN~T143427/Stroke-acute-management. Updated November 27, 2018. Accessed January 18, 2019. Warning signs of stroke. National Stroke Association website. Available at: http://www.strokeassociation.org/STROKEORG/WarningSigns/Stroke-Warning-Signs-and-Symptoms%5FUCM%5F308528%5FSubHomePage.jsp. Accessed January 18, 2019.